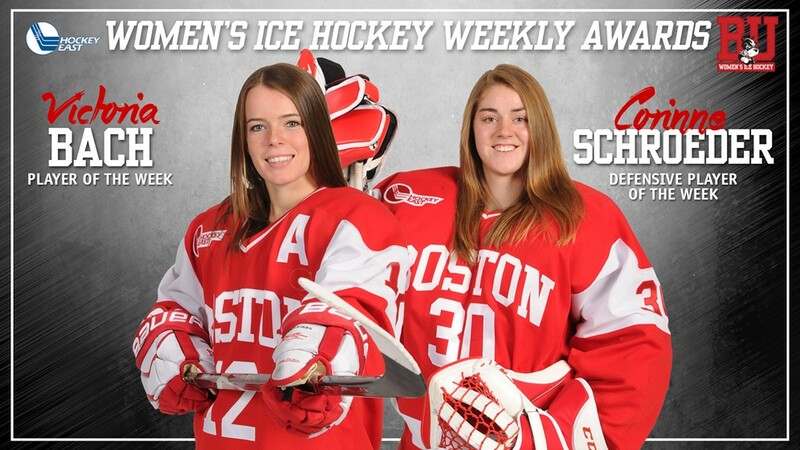 After splitting a two-game series with Maine, BU is ranked #19 in the USCHO Weekly poll. 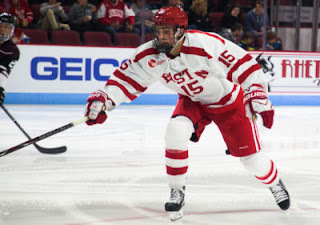 Sophomore Jake Oettinger and freshmen Shane Bowers (photo) and Logan Cockerill were named to Hockey East’s list of Weekly Top Performers. Oettinger recorded his second shutout of the season in the 7-0 win against Maine. Bowers scored twice in that game, while Cockerill had a goal and an assist in each of the two games against Maine. 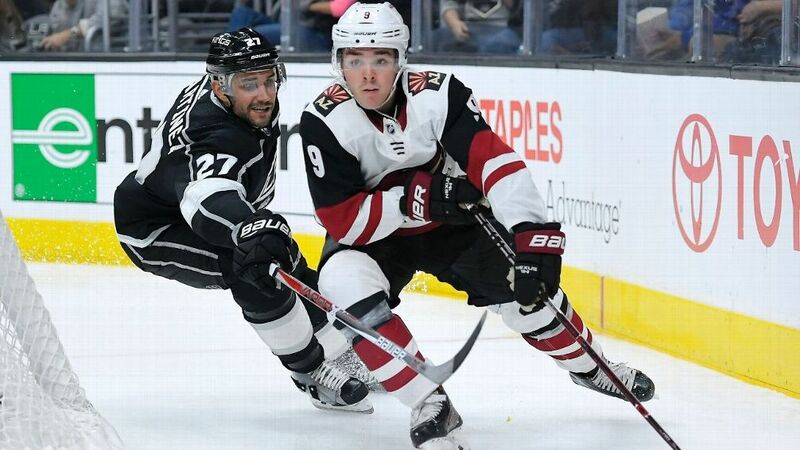 Former Terrier top scorer and national rookie of the year Clayton Keller was the unanimous pick by an NHL.com panel as top rook at the quarter mark of the season. In Monday’s 4-1 Arizona win against Toronto, Keller picked up two assists and now has an 11-9-20 scoring line in 23 games. ● NHL.com Keller dominating Calder Trophy field. TheAthletic.com takes an in-depth look at the special training regimen and personal drive that have fueled Keller’s success. Nick Bonino followed up his own initial shot and buried the rebound for his third goal of the season in the Predators’ 5-3 win against Winnipeg. Jakob Forsbacka Karlsson scored his 5th goal of the season and Matt Grzelcyk added an assist as AHL Providence defeated Hershey, 4-1. Chris Bourque assisted on the Bears’ lone goal. 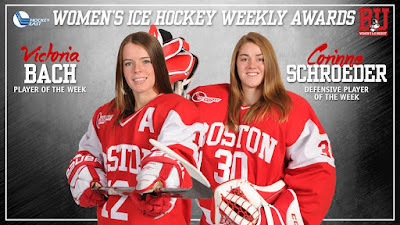 Senior Victoria Bach earned Hockey East Player of the Week honors while freshman goalie Corinne Schroeder was named Defensive Player of the Week, following BU’s road sweep of Vermont. Bach fired home four goals in Friday’s win and added another in Saturday’s victory. Schroeder stopped 60 of 62 Catamount shots in the two wins and now leads Hockey East in GAA (1.54) and save percentage (.946).